Background: I read some pretty good reviews of this movie, while managing to avoid spoilers until I saw it. 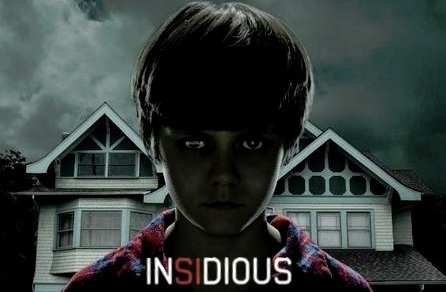 What I saw made me think that it was going to be a movie about an evil or possessed child, and I was looking forward to seeing that creepy kid on the movie poster doing creepy stuff. I’m aware that this has been done to death (see my post on evil children in cinema), but hey, we like what we like. So I was a little disappointed when it turned out the advertisements lied to me, and there actually was no evil child at all. What it’s about: A young couple’s son mysteriously falls into a coma, and strange things begin happening around the house. Their other son mentions that he doesn’t like when the coma-kid gets up in the night and walks around (which I thought was an awesomely creepy idea), but it turns out it’s not the coma-kid at all but the spirits surrounding him, trying to get into his vacated body and rejoin the living world. Because, you know, ghosts just wanna have fun. It turns out (SPOILER ALERT) that the kid’s in a coma because he is highly accomplished at having out of body experiences and wandering far from his body—so far, in fact, that he winds up trapped in a place called “The Further,” which is a place for the dead. The family must figure out how to get him back from there before the devil that is getting closer and closer to stealing their son’s body gets there first. Why it will keep you up at night: It’s not the best horror movie ever, but for a PG-13 fright fest, it does a good job of creating a creepy atmosophere, some startling jumps, and an original story without relying on gore and violence. There are some really good visuals, like a pair of twin ghosts (what is it with horror and twins?) who have wonderfully creepy grins on their faces, and all of the surreal, eerie scenes in The Further. It’s a fun flick that I’d encourage horror fans to see, if only for the atmosphere alone.